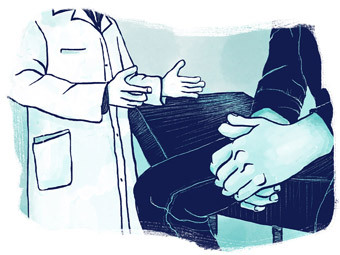 The doctor's office is a risky place for us 20-somethings with slim savings. Maybe you need to go in for a routine physical. A persistent cough. A weird rash that WebMD couldn't identify. Whatever it is, a $300 invoice probably isn't part of the plan. Besides, isn't insurance supposed to cover almost everything? When you do get stuck with a huge bill, a constellation of factors may be to blame, from insurance changes to out-of-network labs to improper billing. Here's how to tackle that sore throat, without getting slammed with surprise charges. If you're looking for a doctor, there are plenty of tools at your disposal: Recommendations from friends. Zocdoc. Googling "doctors near me." But before you make an appointment, it's essential that you first call the office and find out whether they work with your insurance company. That's because the main culprit behind an unexpected bill is usually an "out-of-network" provider. They'll still take your insurance, but there is no limit to what they can charge you, and your insurance company may cover only a small portion of it, or nothing at all. 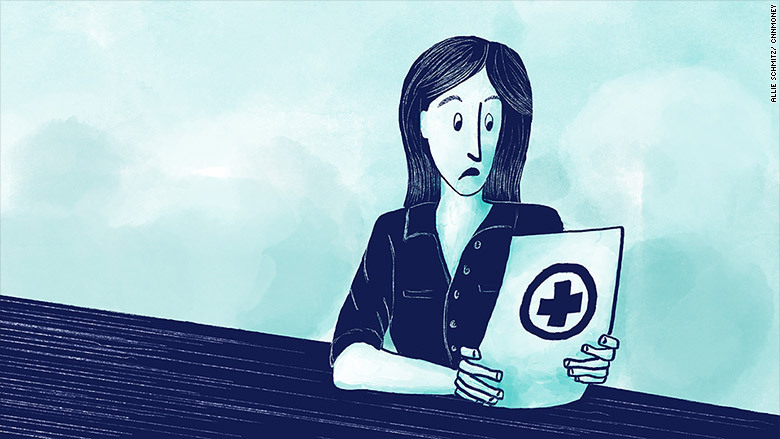 "If you go to Dr. Smith and he doesn't participate in your insurance plan, then he can pretty much charge whatever he wants," said Orly Avitzur, medical director at Consumer Reports. Her advice? 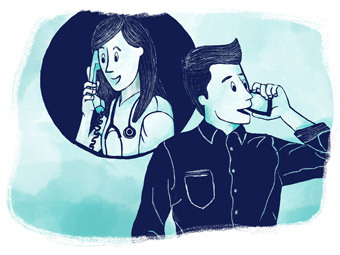 Always call the office to guarantee that your specific plan is accepted by the physician you plan to book. Too often, the info on websites and in apps is out of date. Asking whether they accept your insurance is not enough. You need to ask whether they are "in network" with your provider. "Double check with the office staff," Avitzur said. "Then write it down. Keep a note of who you spoke with and when." It's also a good idea run the doctor's name by your insurance company, since networks can frequently change. It's easy to assume your doctor knows best. After all, she is the one in the lab coat. Asking some savvy questions, however, could ultimately save you a lot of money. "Don't feel intimidated," Avitzur said. "Feel free to raise questions about tests, such as, 'Is this test necessary, and if so, why?'" You should also make sure all the tests performed are also in your insurance network, said Sharon Hollander, author of the book "Medical Billing Horror Stories." Your doctor may work with your insurer, but that doesn't necessarily go for everyone she works with. Your blood work could be sent to a lab that's out of network. The radiologists who read your X-rays may not take your plan. And you could still get stuck with an out-of-network bill. "There are all kinds of providers that are [administering] care, often behind the scenes," Hollander said. "Patients are not always in the loop about how many bills they're going to receive." This can be tricky since most patients aren't even aware that other providers are involved and don't have a say in who they are. But if you have a test done in your doctor's office or a hospital, ask if the tests are going to be sent to a provider that's in your network. You may already be feeling better by the time your invoice shows up. But when it does, comb through it line by line. It's tedious but worth it, according to Jim Napoli, the CEO of Medliminal, a firm that looks for extra charges on medical bills. Medliminal often finds that anywhere from 10% to 60% of the billed amount is contestable, Napoli said. If you think something looks off -- maybe you don't remember receiving a certain test, or you were billed for a two-hour visit when you were only there for an hour -- don't hesitate to pick up the phone. "The easiest thing to do is call your own insurance company, ask for the claims department and say you got a fee on a bill you don't understand," Avitzur said. You should also call your doctor's billing department and let them know there's been a charge you didn't expect, she said. Whatever goes down next, stay confident. 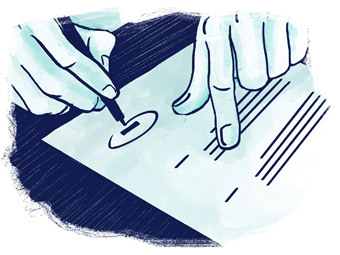 You have the right to receive clear answers about the services you're paying for. "[When] it comes to your health, you have to be your own best advocate," Napoli said.